PronPack 1-4 Shortlisted for ELTons 2018! 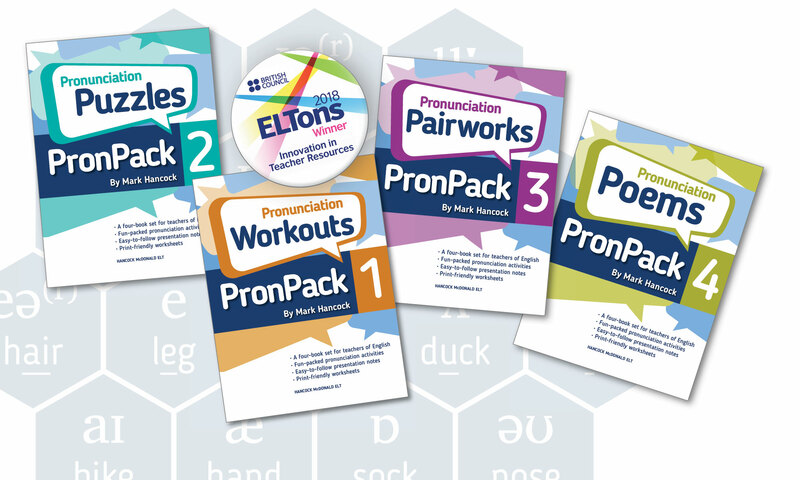 Proud and delighted to announce: PronPack 1-4 is a finalist of the 16th British Council ELTons Awards for Innovation in English Language Teaching 2018 in Innovation in Teacher Resources. This publication has been selected as a finalist by a panel of experts from among 110 international products, publications and services as meeting the stringent criteria for innovation and practical application. Read about the other shortlisted books in the Innovation in Teacher Resources category . Winners of the 16th British Council Eltons Awards for Innovation in English Language Teaching will be announced at the award ceremony in central London on Monday 18 June. Next PostNext What does ‘correct’ mean in pronunciation teaching?